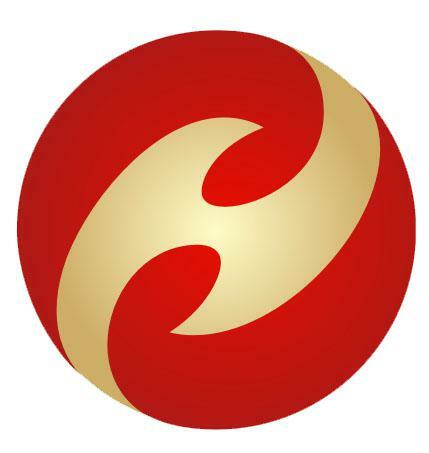 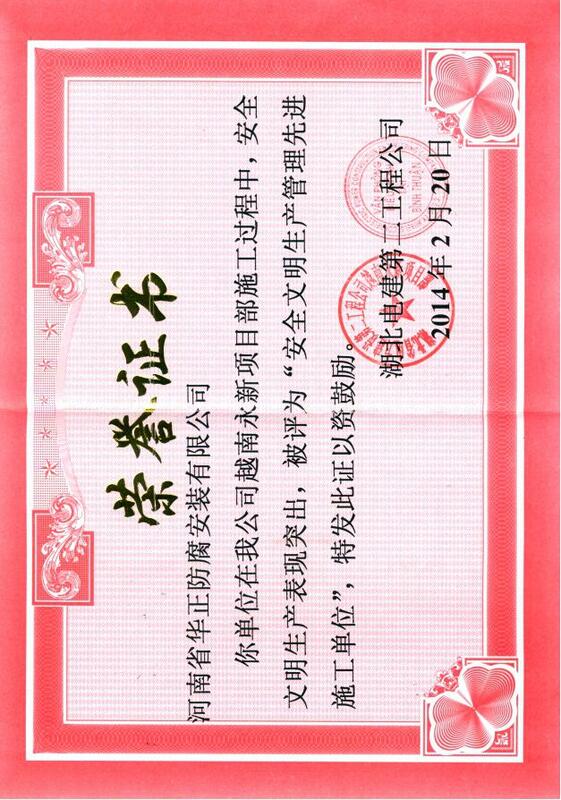 This is to certify that Henan Huazheng Anticorrosion & Installation Co., Ltd is awarded as “Value contract and keep Credibility” enterprise for good quality of anticorrosion projects and safe management. 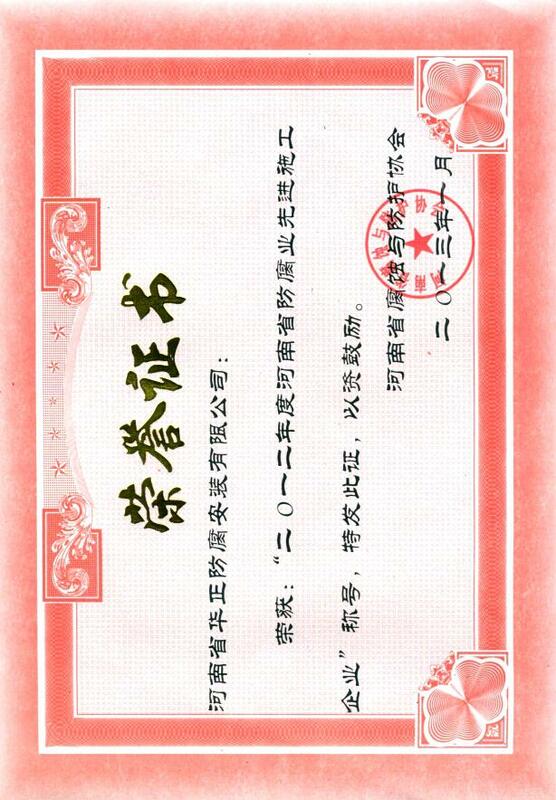 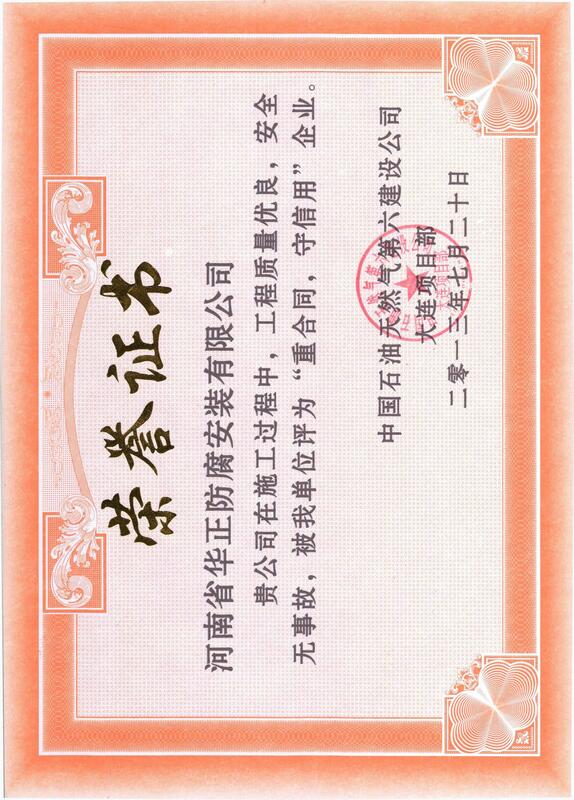 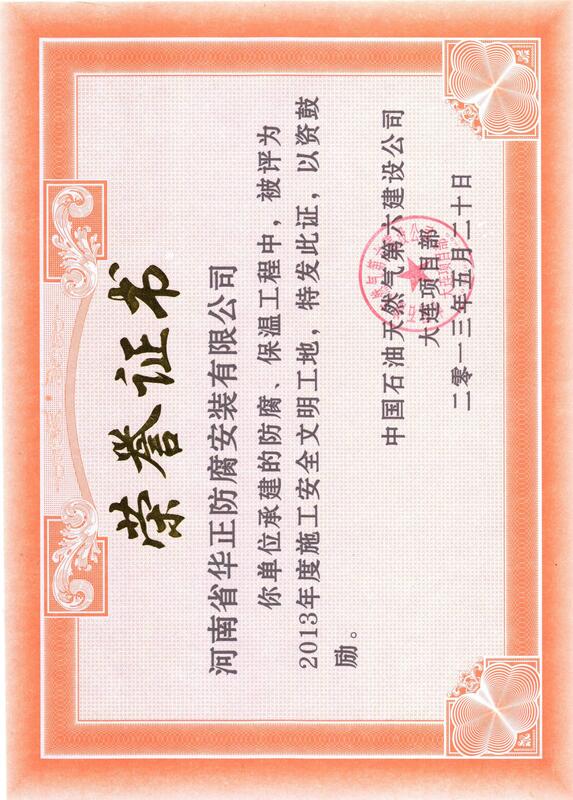 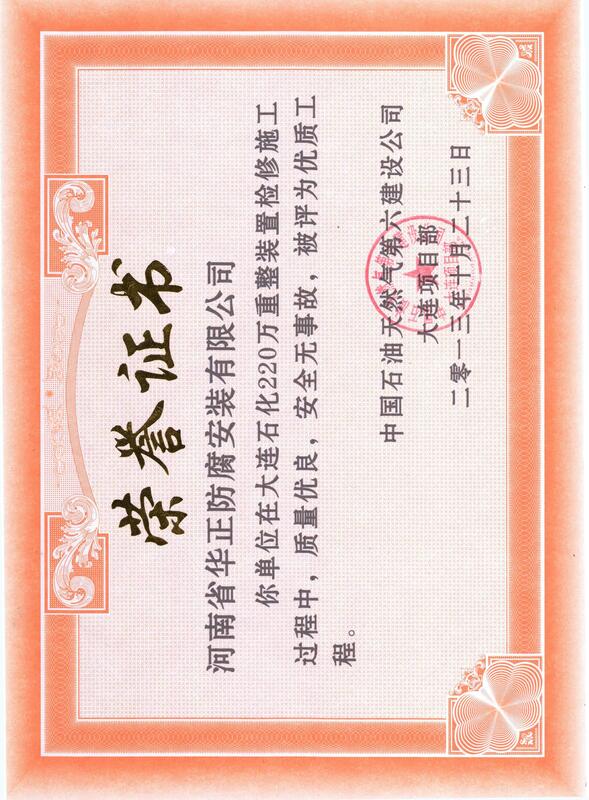 This is to certify that Henan Huazheng Anticorrosion & Installation Co., Ltd is awarded as civilized work site for safe management in the anticorrosion and thermal insulation construction. 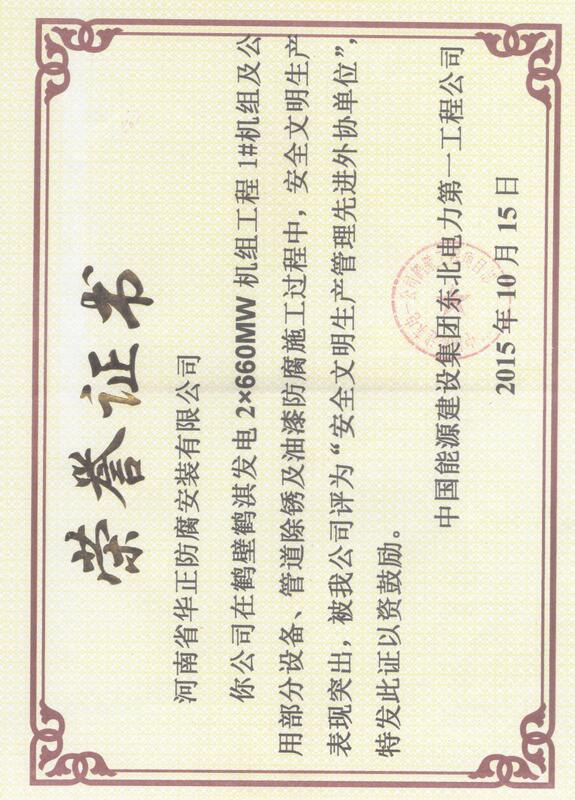 Super absorbent resin SAP project for Jiangsu Sailboat Petrochemical Co., Ltd.